I recall you saying the Nordics were actually free market, but even if you did not, there are plenty other examples of this sort of flip flopping from conservatives on the matter of the Scandinavian countries. And that is why our founders rejected a “democracy” [a mob rule system of government] and created a constitutionally limited “Republican Form of Government” guaranteed under Article 4, Section 4 of our Constitution. And during the Convention which framed our federal Constitution, Elbridge Gerry and Roger Sherman, delegates from Massachusetts and Connecticut, urged the Convention to create a system which would eliminate "the evils we experience," saying that those "evils . . .flow from the excess of democracy…"
And, then there was John Adams, a principle force in the American Revolutionary period who also pointed out "democracy will envy all, contend with all, endeavor to pull down all; and when by chance it happens to get the upper hand for a short time, it will be revengeful, bloody, and cruel…"
And Samuel Adams, a signer of the Declaration of Independence and favoring the new Constitution as opposed to democracy declared: "Democracy never lasts long” . . . "It soon wastes, exhausts and murders itself.". . . "There was never a democracy that ‘did not commit suicide.’"
And during the Constitutional Convention, Hamilton stated: "We are a Republican Government. Real liberty is never found in despotism or in the extremes of Democracy." And then there was Benjamin Franklin, who informed a crowd when exiting the Convention as to what system of government they created, he responded by saying "A republic, if you can keep it." Democracy, or majority rule vote, as the Founding Fathers well knew, whether that majority rule is practiced by the people or by elected representatives, if not restrained by specific limitations and particular guarantees in which the unalienable rights of mankind are put beyond the reach of political majorities, have proven throughout history to eventually result in nothing less than an unbridled mob rule system susceptible to the wants and passions of a political majority imposing its will upon those who may be outvoted, and would result in the subjugation of unalienable rights, and especially rights associated with property ownership and liberty [witness the recent Kelo case]. And so, our Founding Fathers gave us a constitutionally limited Republican Form of Government, guaranteed by Article 4, Section 4 of the Constitution of the United States. We have a democratic republic. We vote for potus, congress, and various other things. DEMOCRACY! Democracy is best described as three wolves and a sheep voting for dinners menu. We do not vote directly to enact legislation, which is a key feature a democracy. We vote for representatives who then enact legislation within the four corners of a written constitution. And our Constitution guarantees, by Article 4, Section 4, a “Republican Form of Government”, not a democracy. Are you a victim of a government school education? During the Convention which framed our federal Constitution, Elbridge Gerry and Roger Sherman, delegates from Massachusetts and Connecticut, urged the Convention to create a system which would eliminate “the evils we experience,” saying that those "evils . . .flow from the excess of democracy…"
Pet peeve—can you people please just freaking highlight the most recent reply in a reply chain to quote that rather than the whole effing chain? Quit being lazy and help everyone save some scrolls. 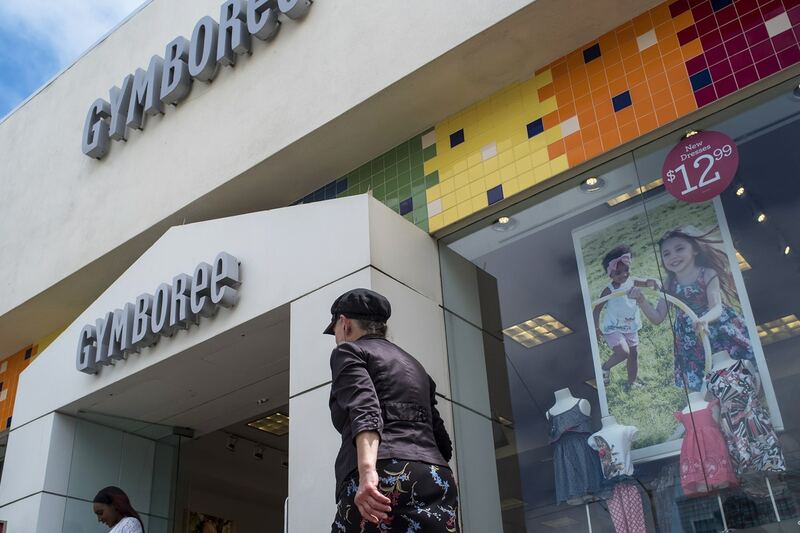 THis is an interesting article on the Gymboree bankruptcy. 10,000 workers out of work across the country. Executives with ailing parents get no severance plan…but the “high up” guys - they get their golden parachutes and will doubtless be hired onto the Board of Directors of other companies - despite that fact that they drove their own company into the ground. If workers distrust capitalism - or what they see as capitalism - it’s events like this that probably spur it on. The fact that its democratic means DEMOCRACY! And to protect against the vile extremes of “DEMOCRACY”, our founders guaranteed us a “Republican Form of Government”. The Bernie Sanders and Alexandria Ocasio-Cortez’s democratic socialism will promise food on the table, free public housing, health care for all, guaranteed income, free college tuition, and other niceties by taxing the so called rich; and if by chance their socialist leadership gains control because of such promises made, the end result, as John Adams stated, “will be revengeful, bloody, and cruel” especially for the most productive, hardworking members of the community. That should put this to bed. No it isn’t. That’s just silly.